"Black New Jersey: 1664 to the Present Day" February 2019 Book Giveaway ~ The History Girl! 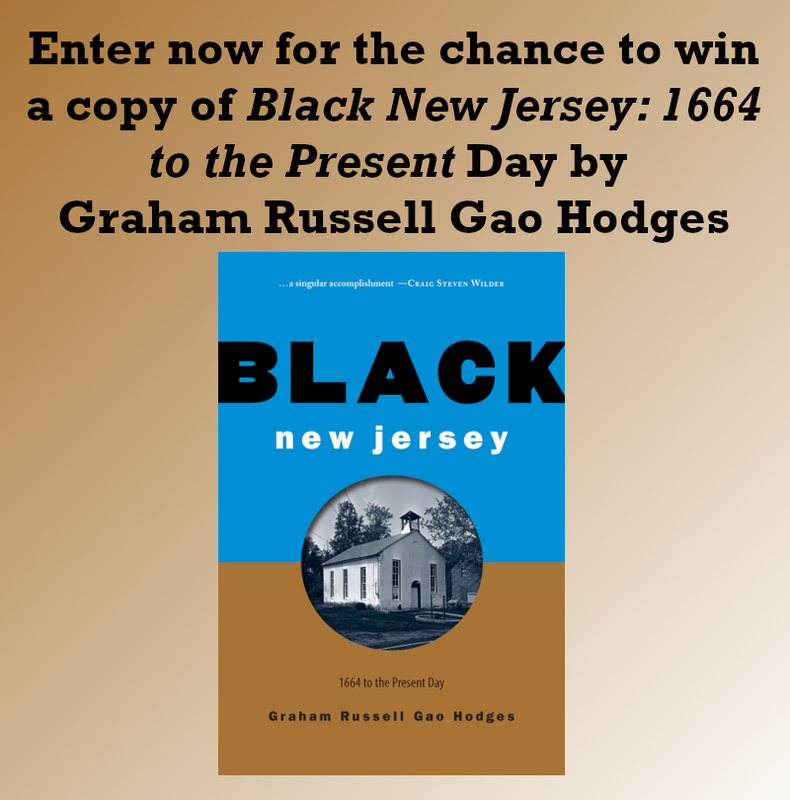 Thanks to author Graham Russell Gao Hodges and Rutgers University Press, The History Girl is offering a chance to win a copy of Black New Jersey: 1664 to the Present Day. In order to be in the running, submit your name and e-mail address below! Black New Jersey tells the rich and complex story of the African American community’s remarkable accomplishments and the colossal obstacles they faced along the way. Drawing from rare archives, historian Graham Russell Gao Hodges brings to life the courageous black men and women who fought for their freedom and eventually built a sturdy and substantial middle class. He explores how the state’s unique mix of religious, artistic, and cultural traditions have helped to produce such world-renowned figures as Paul Robeson, Cory Booker, and Queen Latifah, as well as a host of lesser-known but equally influential New Jersey natives. *One entry per person. *Valid for all residents of the 50 United States of America, 13 years of age or older. *Entries without a valid e-mail address are not eligible. *Contest begins February 10, 2019 at 6:00 pm EST and ends February 16, 2019 at 8:00 pm EST. *The winner(s) will be chosen at random. *The winner(s) will be notified via e-mail on February 16, 2019 after 8:00 pm. The winner(s) must respond with a mailing address within thirty-six (36) hours or another winner will be chosen.